When I first saw Brian’s work in 1975, it immediately struck me as original, distinctive and conceptually strong. I had arrived in Halifax as a young architecture professor at Nova Scotia Technical College, and Brian was one of my students. Although his talent and promise were clear to me, he had fallen out of favour with the proponents of various Late Modernist styles that ruled the school. Fortunately, one of Brian’s admirable traits is determination, and he was able to prevail, producing rigorous, memorable student projects. Brian’s interest in cultural grounding was evident, extending back to his roots in the Nova Scotia village of Arcadia. He was proud of his heritage and the simple, vernacular buildings that he knew so well. As a student in the ’70s, he was already a minimalist and drawn to abstraction, characteristics that evolved, in part, from his comfort with the reductive yet bold buildings and landscapes of Nova Scotia. He knew where he was from and was not afraid of it. In 1977, I organized a study-abroad semester in China and Japan, and Brian was among the most enthusiastic participants. In China, he studied traditional and vernacular gates framing entry into villages and communes. 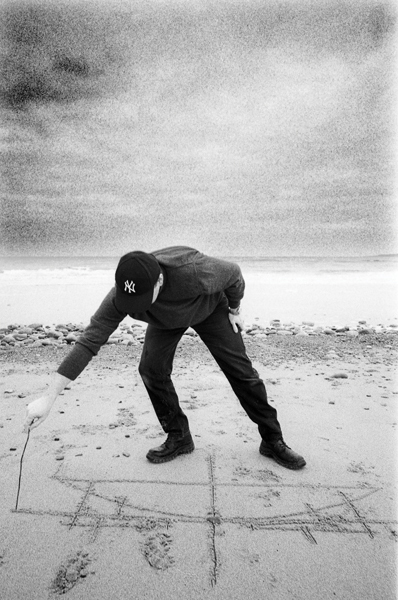 His interpretive, speculative drawings based on the gates were wonderful—a prophecy of his emerging focus on “the local.” Even then, 38 years ago, he showed the marks of an emerging, thoughtful critical regionalist. Brian MacKay-Lyons and his firm have delivered architecture of the highest order, recognized internationally through significant awards, publications and exhibitions. It is fitting that Brian is now receiving the RAIC Gold Medal. Indeed, I am proud to have been a small part of his extraordinary evolution. Brian MacKay-Lyons’ designs display a restrained and sustained search, through architecture, for understanding of the creative process as a source of purpose in individual human life and in collective human culture. The result is a body of work which is exceptional in its simultaneous union of immediacy and abstraction. It achieves freedom from immediate functions and material dictates, while accommodating both. His designs possess qualities that are embedded in exceptional works in history, or understated in lasting vernacular traditions of barns and boats that reside deep in the memories of this child of the Acadian Maritimes. This is a well-earned Gold Medal and will do much to bring Brian’s work the right level of attention in the architectural community—particularly the schools of architecture. Canada, you owe me big! In a telephone call from Brian back in the early ’80s, I said “no” to Brian’s request to come back to California and join me in LA. Appreciating his frustration with the Maritime economy, I still recommended that he stay, have patience, and that his time would come. With his roots, love of place and talent, Brian would become the Maritimes’ great regional architect. 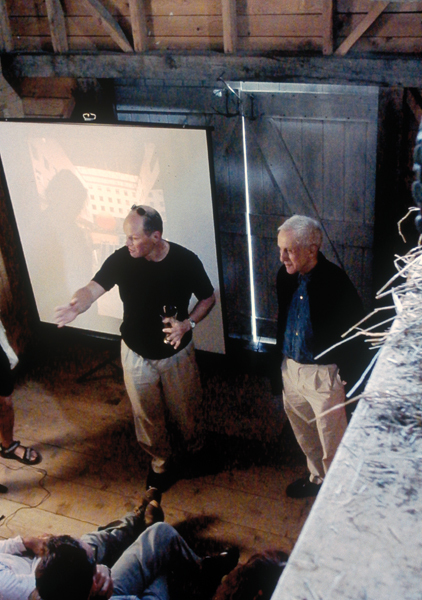 With an M.Arch from UCLA and an apprenticeship with the late Charles Moore, Brian responded well to Moore’s early California vernacular regionalism (for example, Sea Ranch) and later developed an affinity with Glenn Murcutt’s late Australian agrarian architecture as well. However, Brian has moved on to making his own very special Nova Scotian modern regionalism, linking past, present and future with an architecture that is direct, honest, elegant, timely and spiritual—that immeasurable quality that elevates “buildings” to “architecture.” So Canadian. My congratulations, Brian, for a well-deserved Gold Medal. Brian and Marilyn MacKay-Lyons visited me in Sydney in 1987. Since then, we’ve met many times in Canada and the United States. 2001 was the first time I was able to visit the urban coastal domestic and rural buildings in Brian’s native Nova Scotia, as well as his amazing farm located on the LaHave River estuary and the Atlantic Coast. 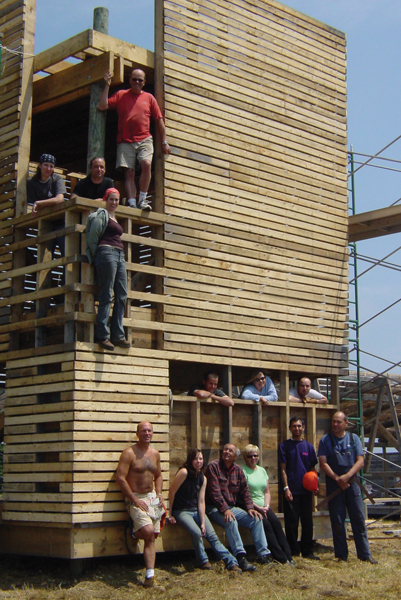 It is on his farm that students of architecture from across the globe have participated in the numerous Ghost Lab design-build events that were conducted over two-week periods. In 2011, Brian undertook possibly the last of the Ghost programs, Number 13, where I was a participant. This event brought together a group of like-minded professionals to discuss “values of place, craft and community,” the subject of Brian’s deepest concerns. Those 13 Ghost events, structured and conducted by Brian, have contributed to the education of students and architects, like few others have, for two decades. At the same time, he has held numerous professorships within Canada and abroad, contributing to architectural education both nationally and internationally. Nova Scotia can present some of the toughest of climatic and siting conditions. Dense forests that make for dark, monolithic, impenetrable barriers abut the coastal waters. Sea- and wind-worn rocks line the shores and keep the forests at bay. This “cleared” land area provides a superb but very difficult zone between the forests and the coastal and estuarine waters, where only responsible architecture could be built. Combined with the rhythms of rain, sleet and sunshine, the durability of materials and detailing are fully tested. Historic buildings, particularly those associated with fishing and lobster harvesting, inform how well various materials perform, and Brian has drawn much knowledge through observation of those buildings of his region. He has produced strong, modern, tough and geometric works that weather into their landscapes superbly. On these most complex of sites, I am impressed by Brian’s integration of his work to place, culture, tradition, craft, technology and community. His are works of architecture that embody prospect and refuge. They respond to, rather than impose on, the conditions of place. The work of Brian MacKay-Lyons possesses clarity in planning and section, resulting in forms that are direct, simple, responsible, honest and elegant. They are a superb synthesis of traditional architecture, the land and modern architecture. Many of his buildings have that rarest of qualities—authenticity. Brian is a most worthy RAIC Gold Medal recipient! Brian has made a significant career in the province that he loves. He speaks about the land where his ancestors have lived for centuries, and you recognize an attachment to place that is heartfelt and enduring. His search for a contemporary yet regional architecture offers us an architecture of connection, an architecture about community, and an architecture deeply embedded in the cultural landscapes in which he builds. His is a firm and resolute regionalism that views the past with fresh eyes—eyes that extend and explore what you sense is, for him, the unfinished work of his region. It is work of great depth. Brian has built a remarkable body of work with his single-family houses scattered over the Nova Scotia landscape. These houses are mostly modest houses, houses careful in their use of resources, houses with beautiful plans; rigorous yet tempered by the casualness of life on the Nova Scotia terrain. Many of the houses seem to be type variants, houses where you can see the architect improving on work that has gone before, where you observe an architect who is clearly disinterested in novelty and newness. lessly, via both a deep knowledge of his subject matter and a healthy dose of humour. Brian’s work transcends specific areas of expertise. 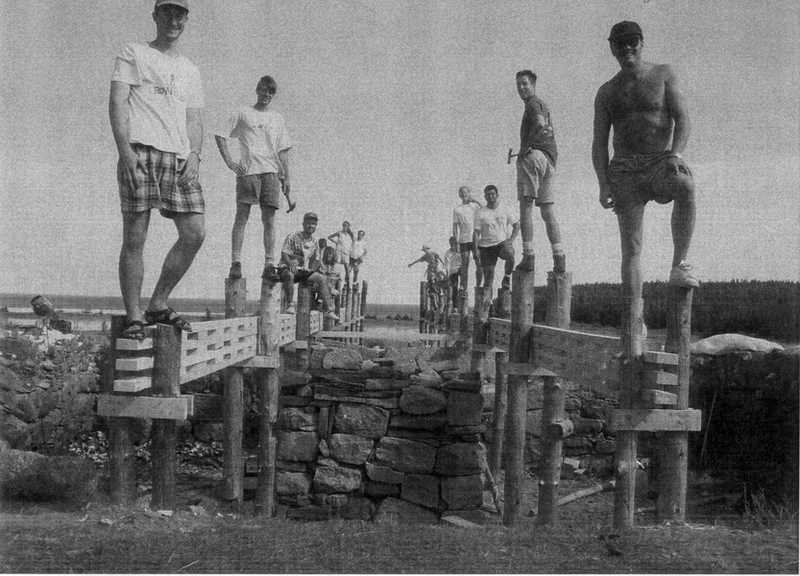 Through a powerful act of imagination, in 1994 he founded the first Ghost Lab on his farm near Lunenburg. Over the years, Ghost Labs became, in his own words, “a meeting place for a ‘school’ of architects who continue to share a commitment to landscape, making and community.” And it became much more. It drew not only architects but educators, students, journalists, writers and others from around the world. Ghost connected interests in landscape, making and community with the joys of teaching, learning, discussing and socializing…and, for Brian, with the love of family, friends and animals. Ghost put Brian’s various loves and interests together, in one place, at one time. The experience of a Ghost Lab was a form of condensation, more submersive than simply connective. The “final” Ghost Lab in 2011 (planned around resistance to the globalization of architectural culture) marks the end of a series of remarkable events. What remains are the memories—those remarkable ghosts—courtesy of Brian. The work of Brian MacKay-Lyons has emerged from his unwavering belief in the importance of building place and community before you build buildings. His deeply held values have been the foundation of his exemplary architectural practice, his role as an influential educator, as well as his rich and all-encompassing family life. Through Brian’s commitment to building buildings that make spaces as well as places, he has clearly demonstrated insightful and meaningful relationships between the vernacular and modernity. Brian MacKay-Lyons is a deserving recipient of the RAIC Gold Medal because he has always redefined the local through the lens of the global. His work has allowed us to see new and profound ways of reshaping our built environment. His bold projects—both public and private and in both urban and rural settings—have left an indelible mark on all of us. In the 35 years I have known Brian MacKay-Lyons, he has completed a significant body of work which stands as a major contribution to the field of architecture in Canada and internationally. Born in Arcadia, and living, teaching and practicing in Halifax, Brian has invested his career and his life in the development of architectural projects and teaching in ways that have integrated his love and knowledge of the culture and context of Eastern Canada. Brian is recognized for his intensive integration of making and building things, reinterpreting vernacular traditions and creating exemplars that demonstrate how contemporary architecture can respond to landscapes and urban contexts while expressing something fresh, relevant and new. 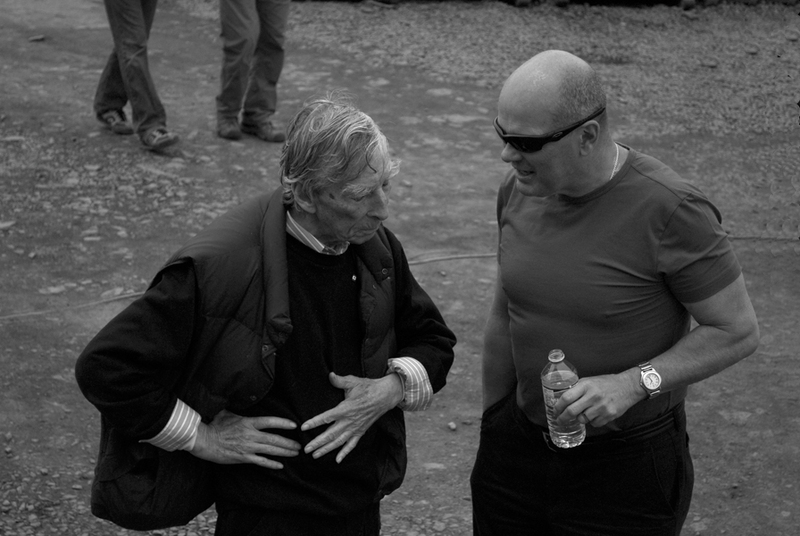 Brian MacKay-Lyons has been a friend, mentor and an inspiration for 15 years. I admire his courage to be narrowly focused, operating with a few core principles that he lives and builds by. He represents the gold standard in the thinking and practicing of architecture in the fullest sense. His approach is a bottom-up process, fuelled by the material culture of place and with a great fidelity to both craft and thought—in space, form and detail. 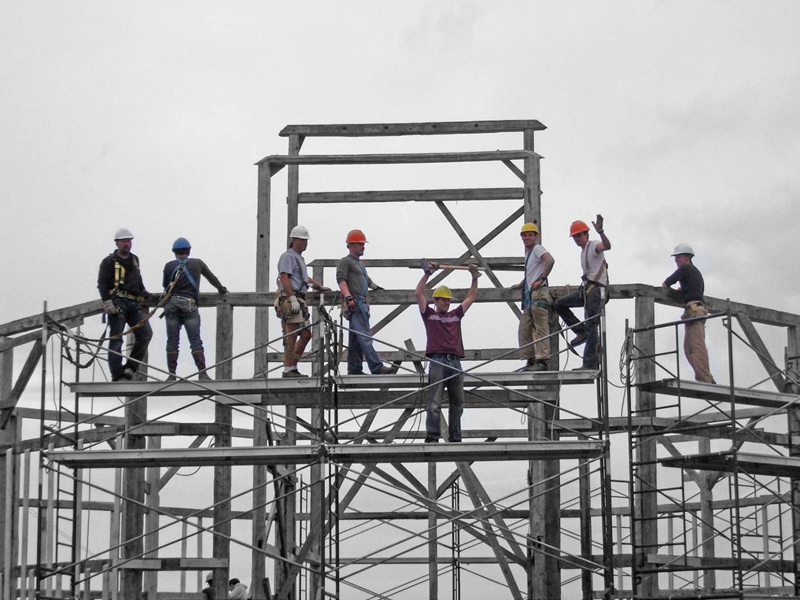 Beyond the impact of his built work, Brian is a great teacher. 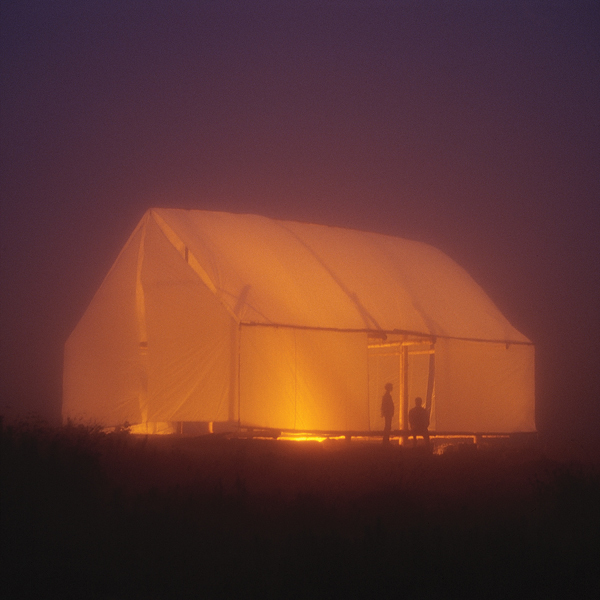 His Ghost Lab provided a unique and transformative design/build experience for young students, graduates and professionals where they learned by following his guidance in executing sublime works that both evoke traditions and project possible futures. I love the guy, his humour, his passion, and the dignity in how he represents our discipline. With the RAIC Gold Medal, Brian MacKay-Lyons is finally being given his due. Much as Glenn Murcutt (winner of the 2002 Pritzker Prize) was known throughout Australia in the 1980s-1990s, Brian’s contribution is an architecture that is deeply invested in the creative reinterpretation of place. His modest architectural practice is far from the largest cities and centres of power. His work, mostly houses, is place-based and research-based, and always emphasizes a quiet yet powerful connection to the land. Word of this powerful approach has been spreading through his Ghost conferences and will be further celebrated by this award. Brian’s work is especially relevant today, in a rapidly globalizing world and economy. His selection for the Gold Medal is an important reminder to us all to slow down, take stock, and appreciate our place on this earth. 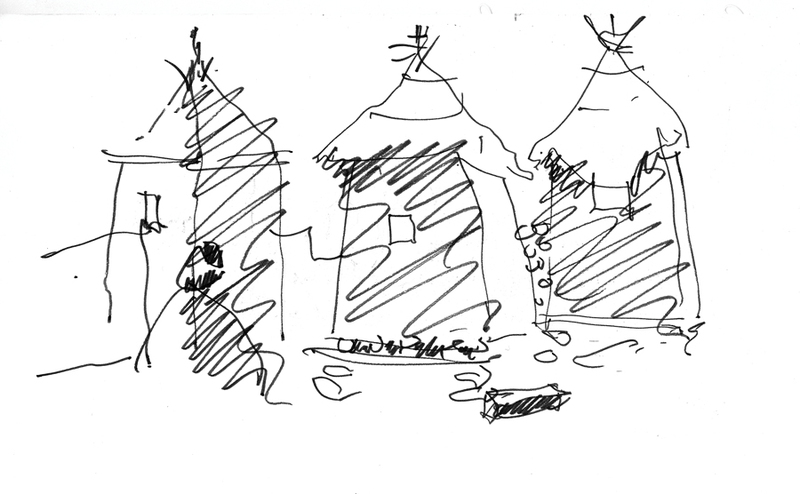 A sketch by Brian MacKay-Lyons, made in Mali on a trip with architects Rick Joy, Marlon Blackwell, Tom Kundig, Wendell Burnett and Peter Rich in search of architecture’s primitive origins. The work of Brian MacKay-Lyons fascinates me. It is very local and extremely specific. The architecture and buildings of the world today are, unfortunately, becoming more and more the same with very few distinct characteristics. One cannot tell the difference between a building in, for example, New York and another building in Singapore. When I view Brian’s work, I know where it belongs and where it is built. It could only work in the place where it sits. His projects in Nova Scotia are real, authentic and positive additions to this rural and beautiful landscape. Each year I travel from Norway to spend my summers in Nova Scotia. I always take the time to meet with Brian and Talbot, then to visit some of their new projects. It is always a delight to see a new building by their firm. They are ever-evolving and never seem to disappoint. When talking to Brian, one always enjoys the feeling of excitement and curiosity that resonates when discussing the evolution of his work.